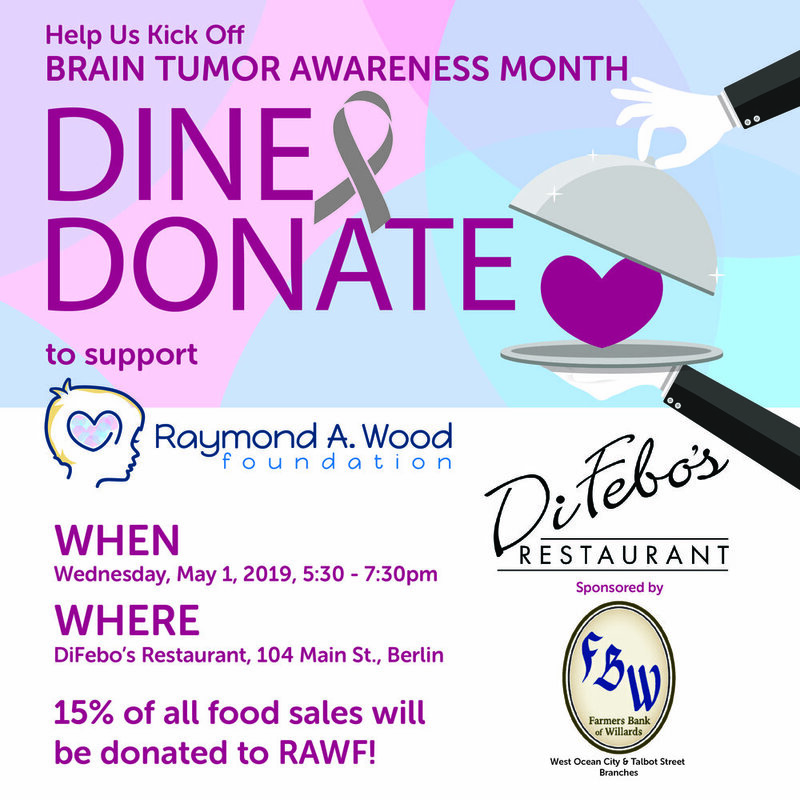 May is Brain Tumor Awareness Month and we are kicking it off with an evening at DiFebo’s Restaurant in Berlin, MD. A portion of all sales that evening will go to RAWF to help us continue to provide support to pediatric brain tumor survivors across the nation. A special thank you to our sponsors — The Farmers Bank of Williards (West Ocean City and Talbot Street branches) and DiFebos. We look forward to seeing you on May 1!